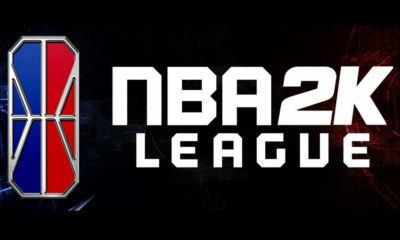 Season one of the NBA 2K League, the eSport affiliate of the National Basketball Association, was regarded by many as a success and became the first professional league of the four major sports in the U.S. Seventeen of the thirty NBA teams participated in the inaugural season, and four more are joining the slate for this year. 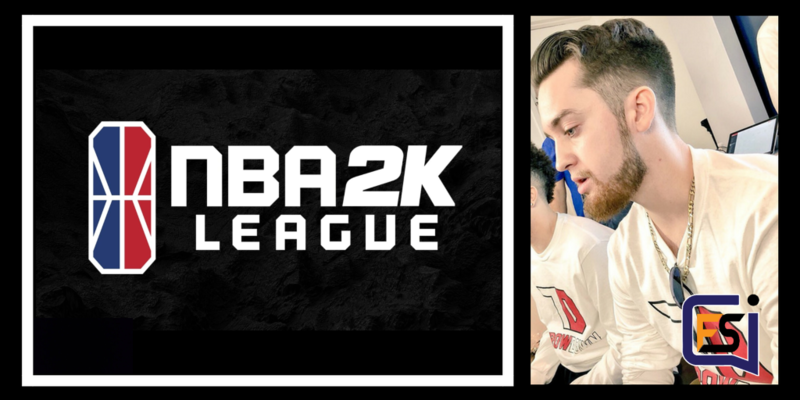 With season two rapidly approaching, 200 hopeful newcomers have already begun taking part in league-scheduled interviews conducted by GM’s, coaches, and other league officials. Meanwhile, season one returnees prepare for another year of 2K by practicing with their pro-am squads or laying back at home with family before departing to their respective cities. Over the next few weeks, I’ll sit down with some of the pro-gamers to discuss life outside of the league. I recently spoke with newly-assembled Lakers Gaming big man, Mitchell “Mootyy” Franklin. The 24-year-old Virginia native talks about his background growing up, the offseason, and the constant grind of the season. Franklin spent season one with Kings Guard Gaming, affiliate of the Sacramento Kings. How was life growing up in Yorktown, Virginia? You’re a big Ji-Jitsu fan, correct? Yeah, growing up I was a WWE fanatic. I was infatuated with WWE, but now I’ve grown into more of a UFC fan. I’m a big fan. I love the practices of Ji-Jitsu, Judo, Kick-Boxing because it’s a great workout. I used to enjoy doing a lot of the practice, but its tough. And now with the league, I definitely wouldn’t want to hurt my hand or fingers. Connor McGregor. He’s my spirit animal. I followed him before he blew up! He’s one of the best. It has been noted that you are a good bowler? You were almost pro? (chuckling) Well, not as good as I used to be, but yeah. When I was younger, I actually had a bowling sponsorship. I competed in a couple pro-am events. I wasn’t quite a pro bowler, but I was aspiring to be. I was the president of the bowling team at Radford University, so it was getting pretty serious. Then, 2K kind of got in the way, but I’m not complaining. Bowling is easily one of the most frustrating things I’ve ever done. There’s so much that people don’t see, you know? Ball changes or oil patterns. Man, it’s frustrating. I have a lot of respect for people who compete, but now I play for fun. Now that you’re in Los Angeles: Kobe or LeBron? LeBron for sure, but it’s tough. I’ve always represented LeBron because I think he’s the greatest player of all time. I mean, just look at what he’s done for the game of basketball. He would have dominated in any era. But it is a weird feeling that I’ll have to get used to because my dad is from Massachusetts, so I grew up a die hard Boston sports fan. My family bleeds green! So, it’s going to be a little bit different. How did it feel to be selected 4th overall in the league’s inaugural draft? It was a really good feeling, because I feel like this league isn’t all about skill. It’s about how professional you act because it’s still the NBA. You also need to be marketable and have a brand, and I feel like I worked hard for that. I sacrificed a lot of friendships, relationships and even took some time off of school. I really risked a lot just to try and ma+ke this league. So, to be viewed highly was a really good feeling. Unfortunately, our season didn’t go the way we [Kings Guard Gaming] would have liked for it to go. It was still a great time. We’re you shocked when you weren’t retained? I was just as shocked as everyone else. Mainly because we didn’t have a down fall or falling out. It was just a move that they wanted to do with two other highly-skilled players, and I think it worked out for the best. The scenario I’m in is great. It’s kind of like OKC back in the day with Durant, Westbrook, and Harden where you have three highly-skilled players and sometimes they need their own teams. And I only have kind words for [Kings Guard Gaming]. I really enjoyed my time there, but I’m in LA now and I’m excited for that. It doesn’t get much better than a fresh start in a city like LA. How do you feel about your new home: Los Angeles? You can ask any of my pro-am teammates on Throwdown 2K. If I had a choose for a city to play in, it would be LA. The city just has a history of winning. Look at the Lakers’ 16 championships! They are arguably the most popular organization in sports. Now bring a guy like LeBron to the city and the market skyrockets. The city is remarkable. What were your thoughts on your performance during season one? Well, without knowing me, most people would assume that I have a big ego, because I wear flashy glasses or because I was a top pick, but it’s actually the opposite. I’m very low ego. I don’t care about stats or big names or anything like that. So, the first half of the season, I took a backseat and set out to be a good teammate instead of demanding the ball. That changed during The Ticket. That’s where I showed what I could really do. 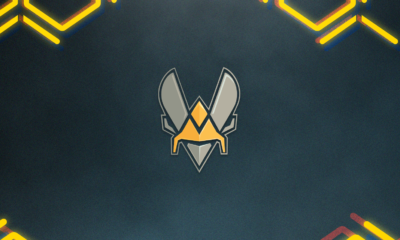 Honestly, I don’t like to sound cocky or anything, but I feel like I outplayed OneWildWalnut (the league’s reigning MVP and Defensive Player of the Year) during The Ticket and the regular season. We should have been 2-0 against them, but unfortunately we couldn’t close that game out. So yeah, I really felt like I proved myself there. I’m never going to talk bad about anyone and I respect everyone in Sacramento, but there is a little bit of bitterness. I liked the organization and the city, but I was kind of let go without ever given a solid explanation. 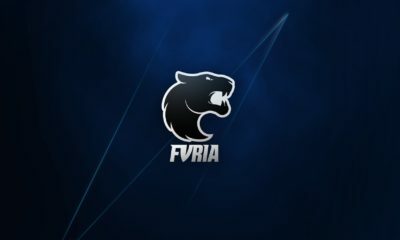 How supportive is your family of you playing video games professionally? Oh, my family is super supportive! Both of my parents have supported me from the beginning. A lot of parents are skeptical because it is a video game league, but luckily I had the opportunity to show my parents how serious this was last year during the All-Star Tournament. To be able to play for $250K on national TV was experience, and they were able to buy-in easily after that. The league is growing immensely and my family is proud that I’m a part of it. Have you ever sat back and thought wow, I’m an actual pro-gamer? Yeah, all the time! I mean, the Twitter verification check was a big one. Like I mentioned, I’m a low ego type of guy. I told myself that I would never change through success or money, and I’ve been great at that. It is crazy though. I’ll be walking in the mall and people will ask me for advice or even just recognize me. It’s a weird, but cool feeling. What would you say to people who don’t view the league as a real job or sport? Um…(laughing) I guess just Google it. I mean, look it up. It’s a legit industry that is growing. Look at me personally: I got paid nearly the same or more in four months than a lot of kids my age do in a full year. For playing a video game! I mean, it’s the best job in the world. 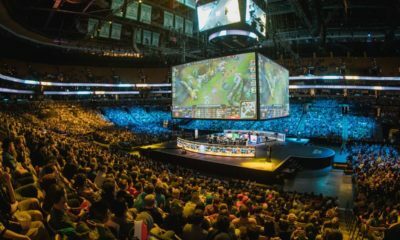 I always tell people eSports will continue to grow as technology does. Plus, not everyone is born athletically gifted, and video games gives kids an outlet to achieve that. This sport can also drain you. We traveled a lot. We spent hours in front of a screen. It can be taxing on your body. I’m on the phone with league director Brendan Donohue. He needs your help making one change for season two: what’s your move? To fix our flights (laughs). No no no, but we did have the worst flight schedule in the entire league. We were the only team in the league with a layover, and it was draining. But he has addressed that, which is great. Playing on the west coast, it was a lot flying across country every single weekend, especially after a loss. Imagine flying across the country to play, get blown out, and fly back. Boy, it made the flights a lot longer. But, BD is great. He’s already addressed most of the concerns from season one. That guy works so hard. I would honestly change the way some of the games are. Not only have games and tournaments in New York, but instead some in LA or Miami or Vegas. I’m excited. I’ve been telling the Lakers I’m ready to go out there now. I feel confident and prepared. The organization has responded to us well and I’m ready. We have a great group of guys ready to go, so I’m excited.